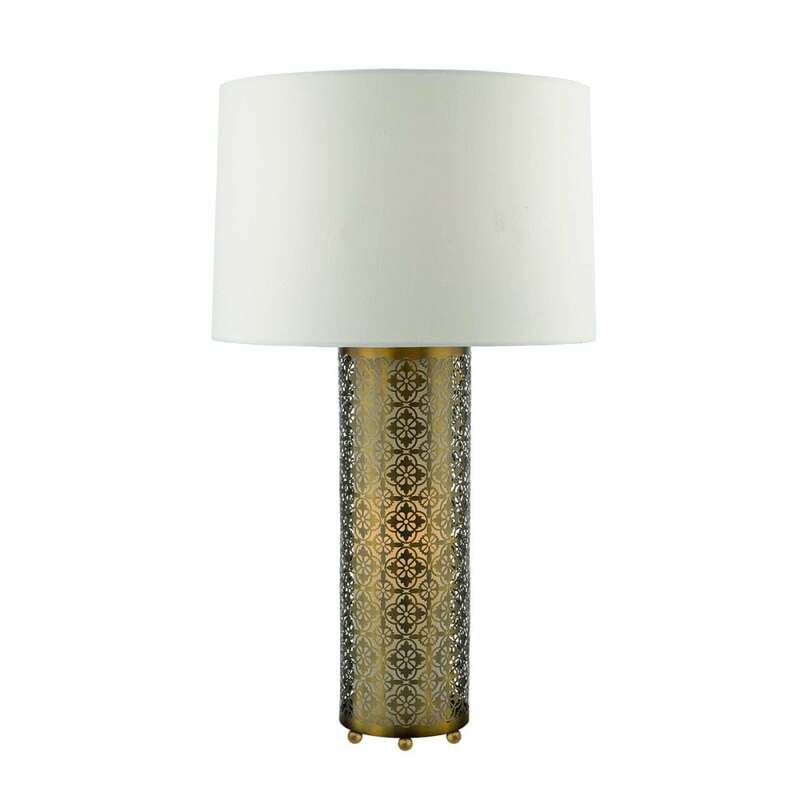 Dar Lighting Aswan single light table lamp features a cylindrical shaped bronze finish base with delicate fretwork design which is illuminated, holding a drum shaped ivory faux silk shade. This dual lit table lamp will add a unique touch to modern or traditional styled decors within your home. The fret work design, on the bronze finish base, has an interesting display of light when illuminated and topped with the ivory faux silk shade completes this luxurious look. Double insulated and operated by an inline rocker switch located on the cable. This product code is ASW4263. Dar lighting have a range of table lamps, available, all of which can be viewed on our website.